0H MY D@HV!E xD. made my दिन. Wallpaper and background images in the Blood on The Dance Floor club tagged: botdf dahvie vanity jayy von monroe. This Blood on The Dance Floor photo contains चित्र, headshot, closeup, हेडशॉट, and क्लोज़अप. There might also be आकर्षण, अपील, गरमी, आकर्षकता, गर्मता, मोबाइल फोनों के लिए, हास्य पुस्तक, मंगा, कार्टून, एनीमे, कॉमिक बुक, and manga. 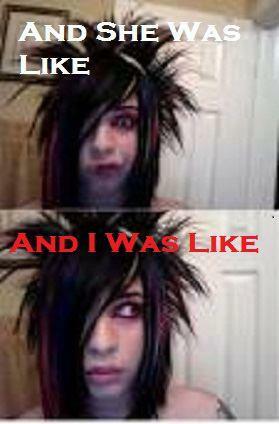 OMG...that doesnt even look like dahvie =o wow...btw thats a really sweet picture <3 love it!